Holi is the incredible festival of colours which is desperately awaited by millions of Indians across the globe. People buy colours, fancy pichkairs, Gulaal, balloons and much more. Apart from this, many waits for the amazing Holi Offers 2017 to buy discounted products on various online websites. 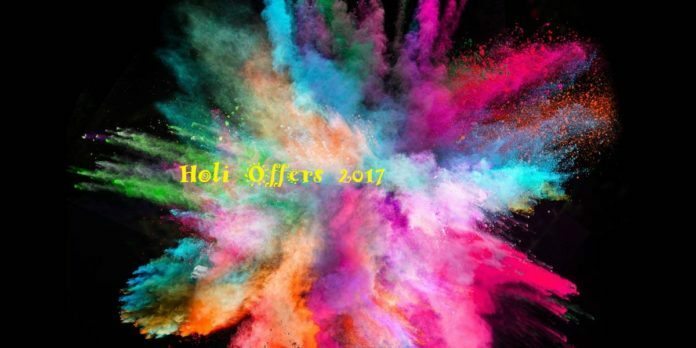 The online retailers, Flipkart, Amazon and Snapdeal, are back with their Holi Shopping Offers 2017 to attract customers. 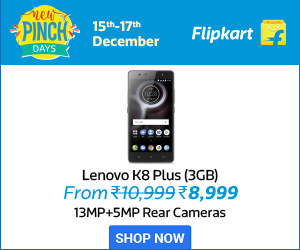 The leading online retailer, Flipkart offering up to 75 percent discount on Pooja Essentials, colours, clothing, laptops, tablets, fashion accessories and much more. People can also get the rewards via Sitaphal at Flipkart. Amazon, the largest online website offering the Holi items such as balloons, pichkaris, water guns, colours and Gulaal at reasonable prices. One of the leading online retailers of India, Snapdeal offers 50 percent to 60 percent discount on water guns, combos, colours, balloons and pichkaris. People can also avail the offers on beauty products. AirAsia India announced the promotional offer on all-inclusive tickets price starting from Rs. 1,499 and bookings can be made up to 12th March 2017. Travelling period of the AirAsia Holi Sale is from 6th March to 30th June 2017. The Mumbai-based airline, Jet Airways kick started the Holi celebrations with all exclusive fares on all direct flights from Singapore to India. Bookings for this offer can be done until 16th March 2017. The Indian Online Travel Company, Cleartrip providing Rs. 2500 cashback on domestic flights and Rs. 1300 on domestic hotels on this Holi festival season. The company commenced the availability of this offer from 1st March to 31st March 2017. Reliance Jio, the Mukesh Ambani-led company, announced Rs. 303 tariff plan where people can avail 1GB of 4G data each day and unlimited voice calls for 28 days. Users also provided with free add-ons. Vodafone introduced Welcome Back Offer of unlimited voice calls and 10GB of data for 28 days on recharging with Rs. 346. The first 300 minutes of calls will be charged at standard prices if the limit is exceeded. The leading telecom operator of India, Bharti Airtel offering free data to its postpaid subscribers starting from 13th March as an Airtel Surprise offer. Other than that, upon recharge with Rs. 345 users can avail unlimited voice calls and 1GB of 4G data per day for 28 days. The 1GB data will be given as two halves, first 500MB available on the day and remaining 500MB on the night.